The deployment of advanced S-300 missiles to Syria has set off alarm bells in the US and Israel. The Pentagon’s decision to conduct additional tests for its F-35 stealth fighter means that it is not so sure about the plane’s invisibility to Russia’s S-300 missiles, the Indian newspaper EurAsian Times writes. “The fact that the Americans tried to make the plane invisible does not mean that it really is. And it’s not for nothing that the Pentagon suddenly announced the need for additional F-35 tests recently. 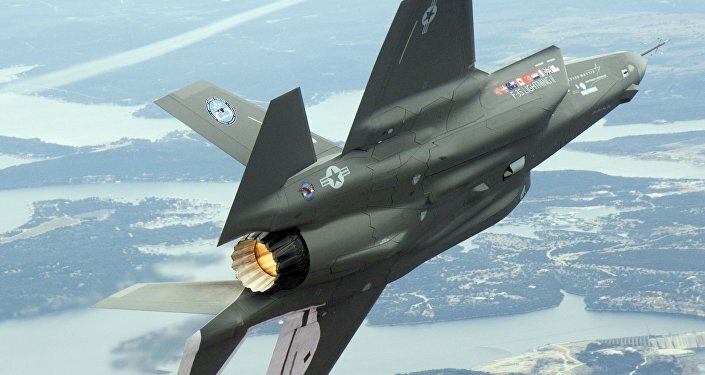 This is clear evidence that the US themselves do not believe in the competence of F-35 against the S-300 air defense systems,” the news site added. According to EurAsian Times, the F-35 Lightning II was developed with an eye toward defeating the S-300 system the US already had access to. As soon as Iran began to negotiate with Russia about buying the S-300, Israel reportedly paid Greece a lot of money to get access to these systems to study them. The Americans also bought parts of the complex through Belarus. However, the S-300 system the Americans obtained “was put into service back in 1978 and the difference between modern technology and that from 1978 is enormous,” the website noted. Israel’s Regional Cooperation Minister Tzachi Hanegbi said earlier this month that the S-300’s capabilities have long been factored into Israel’s strategic planning. The former general director of the main design bureau of the Almaz-Antei concern, Igor Ashurbeili, said that some S-300 technology had been stolen by the United States. At the same time, the Pentagon announced that full-scale combat tests of fifth-generation F-35 Lightning II fighters would begin in November, and not in September, as previously planned, due to Lockheed Martin’s failure to upgrade the plane’s computer software on time. In all, Israel is to receive 50 F-35A Lightning II fighter jets from the United States, which, after an upgrade, will be renamed the F-35I Adir. Currently, Israel has eight such aircraft. The S-300PM system, supplied to Syria, is based on the S-300PS complex, which entered service in Russia in 1993. The upgraded system is capable of destroying aircraft and hypersonic cruise missiles at a distance of up to 200 kilometers (124 miles). Moscow has supplied batteries of advanced S-300 air defense missiles to Syria to protect Russian troops deployed in the war-torn Arab country in the wake of the recent downing of a Russian reconnaissance plane during an Israeli airstrike in Latakia.